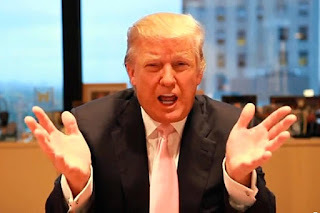 On July 21, 2015 I did this article entitled "Donald Trump Is An Idiot". I'd like to apologize to all idiots as I think there is a more appropriate and accurate description for Donald Trump, after just hearing the comments that Donald Trump made about his "fellow" GOP presidential candidate, Carly Fiorina. I saw this on breaking news from the Megyn Kelly Show on the Fox News Channel called Kelly Files on Wednesday night, Sept. 9, 2015. She was reading comments that had just come out that Donald Trump made in an interview with Rolling Stone Magazine. If these comments don't knock him out of the race in a Republican primary, I will be very disappointed in my fellow Republicans who are supporting Trump [I realize it is not all Republicans who are supporting Trump and in fact, some may be Democrat trolls hoping the GOP nominates the least electable candidate possible to aid Hillary]. Brit Hume was on Megyn Kelly's show and I think he made the very appropriate comments on Trump's "school yard" un-presidential comments. Am I going overboard here, or is this just way out of line comments made by Trump that has no place in a GOP presidential nominating process? Donald Trump, a lot of people say they like you because you say a lot of politically incorrect things. Well, I guess your fans then should love me when I say, Donald Trump, you are a jerk. You are being much too kind big mike, what a sexist , childish, rude and inappropriate statement by Trump--- The fact that he has as much percentage of support as he does is an embarrassment to educated Americans--- as one who considers himself one of those educated Americans, I apologize for all those who do not see the idiocy in their Trump support. To me Mr. Trump is basically a 10 year old bully in a grown up body. He makes rude statements and if a person doesn't agree with him, he bullies people to side with him or to be quiet. He doesn't give in depth details of how he would hand issues if he became president. He's the "big picture guy" and he'd hire people to handle the details. A couple things scare me about him. He is often very offensive. How will that play with heads of other nations? In his best "Apprentice" voice I can see him telling the other leader off and throwing him out. Not conducive to good foreign relations! And then, since he doesn't seem to think details are important for him to know, I'm worried that he won't know what he doesn't know. He may be a "big picture guy", but as the President he needs to be well versed in world affairs, not just tell people he'll know more than they do in 24 hours. You can do what Trump is doing absent the puerile rhetoric. People are responding to his energy and his un-PC behavior, but you can achieve your goals without descending to the least common denominator. Anyone who says to the world "I'm rich!" in campaign speech is automatically disqualified to run my country! He'll embarrass this country, and the white house will turn into a fashion runway show place by his wife. No, but hell no. I just wish our fellow Americans are smart enough to ignore him! Never mind the role of the President, he has no quality to be our Commander in Chief period! Thanks BZ and Connie for your comments! Morning Glory!